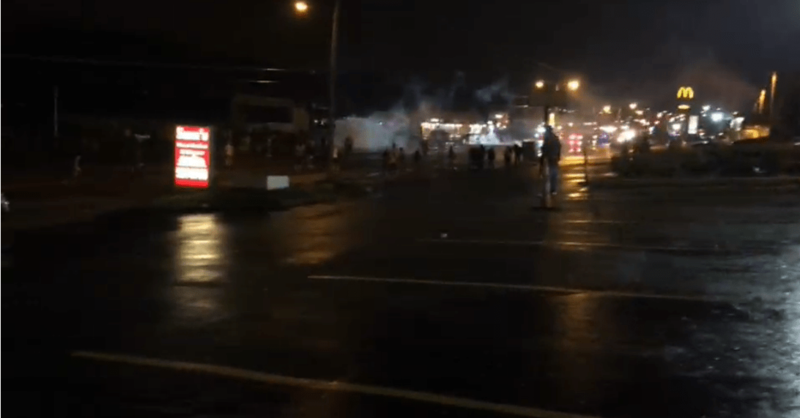 Ferguson, MO implements Curfew/No Fly Zone following Police murder of Michael Brown. As of early Monday 08/18, the curfew has been lifted and the National Guard has been ordered into the area. The No Fly Zone was also lifted that day. 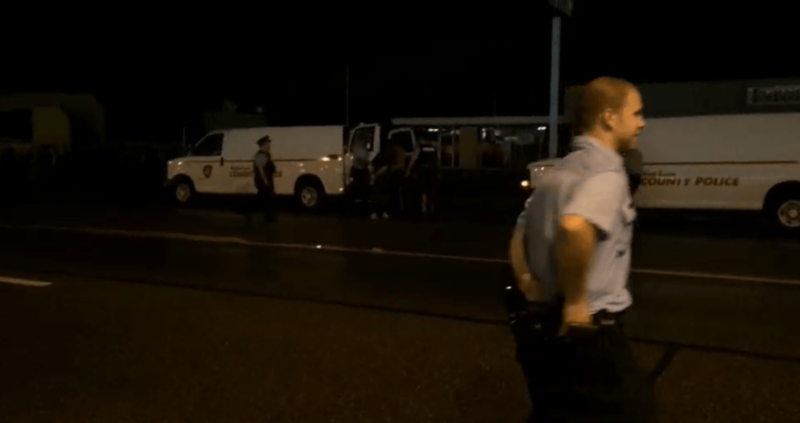 The situation in Ferguson has escalated in recent days following the murder of another unarmed black teen in America. A cursory search for ‘unarmed black teen killed in America 2014’ yields about 6,000,000 results. 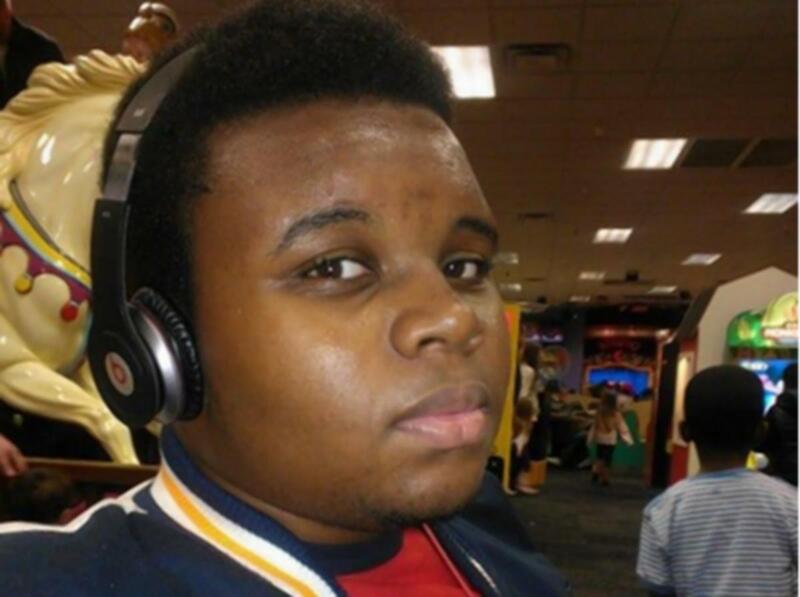 This teens name was Michael Brown. He was 18 years old, A Graduate of Normandy High School in St. Louis. He was scheduled to start classes at Vatterott Trade College yesterday. 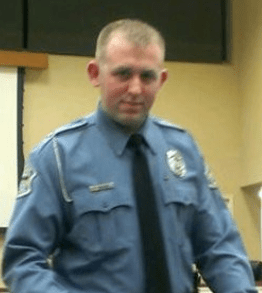 Michael was shot by Officer Darren Wilson of the Ferguson police multiple times while unarmed from a distance of at least 30 feet on August 9th. 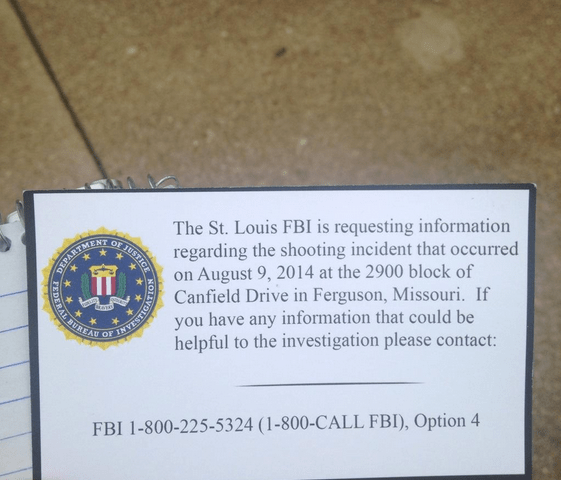 Officer Wilson was identified by Ferguson police on Aug 15th. According to witnesses Brown was shot with his hands up and then shot at least once while on the ground. An autospy confirms he was shot at least 6 times, two of which were head shots. 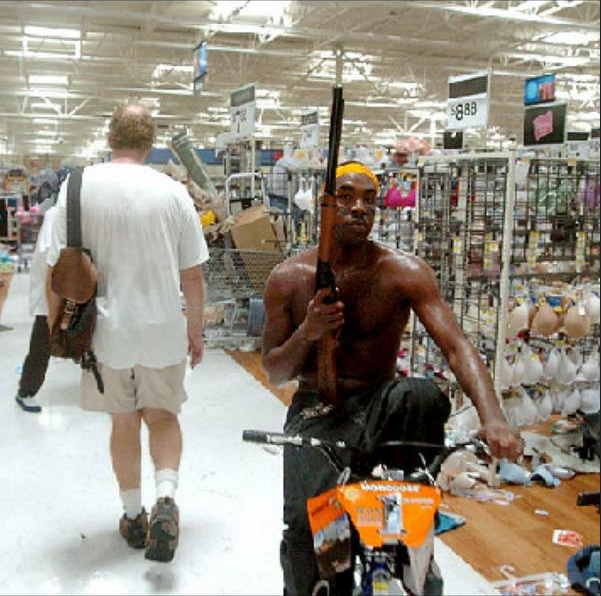 Immediately following the shooting protests began, As night fell protests turned into looting and rioting. Images circulated on social media of black youth riding around with shotguns, presumably keeping police from killing any more unarmed teenagers. As a result of the unrest, Officially citing ‘imminent hazard’ for any aircraft. A No Fly Zone has been erected over the city and a standing city-wide ‘Law Enforcement Operation’ has been declared. While any danger to aircraft would be virtually non-existent (what has changed for objects traveling at such heights?) the true reason for the No Fly Zone is probably closer to ‘damage control’ and preventing any media with enough resources to have a helicopter from providing any coverage, assuming that media would even have enough sense to do so. After all, Robin Williams just died. According to the FAA the No Fly Zone restriction is in effect until August 18th. This is the relevant legislation cited in the notice. “Missouri Gov. Jay Nixon (D) has signed an order declaring a state of emergency and ordering a curfew in Ferguson, he announced in a press conference on Saturday. The curfew will last from midnight to 5 a.m., according to Capt. Ronald Johnson of the Missouri State Highway Patrol, who also spoke at the press conference. “What we’re doing now is not who we are,” Johnson said amid shouts from community members during the press conference. As a result of the international headlines and thousands taking to the streets, The FBI has taken an interest in this government sanctioned homicide. US Attorney General Eric Holder has ordered the Department of Justice to conduct an additional autopsy, to be performed by a federal medical examiner. This will show how many times Brown was shot with his hands up or while not facing the officer or while already deceased on the ground. According to witness reports shots were fired by Officer Darren Wilson that exactly match each of those descriptions. Perhaps it’s about time for citizens to start considering firing their police force like the city of Hampton, Florida did. Albeit their issue was rampant corruption – not rampant psychopathy and racism and a tendency to commit murder. The YouTube user StormCloudsGathering has posted video of the friend collaborating this, The narrator also points out many other relevant details. A cell phone video of the immediate aftermath of the shooting and some more context from witnesses has been made available by CNN here. I noted the time each image was captured and have created the following timeline of events. “You’re violating a state imposed curfew. 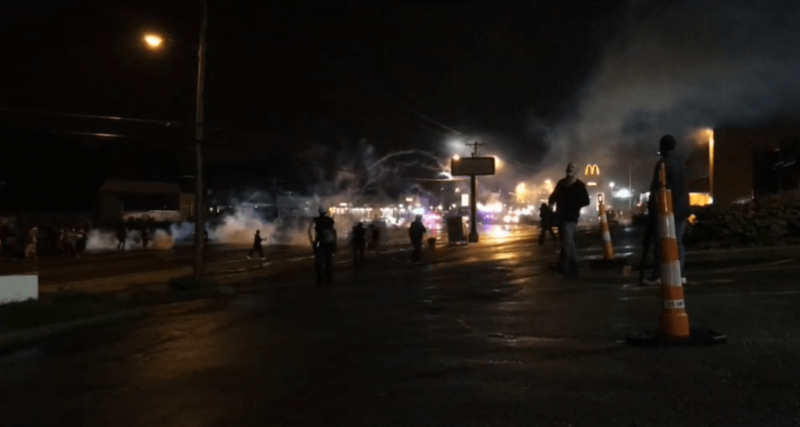 You must disperse peacefully or you will be subject to arrest and or other actions. You’re violating state imposed curfew. You must disperse. 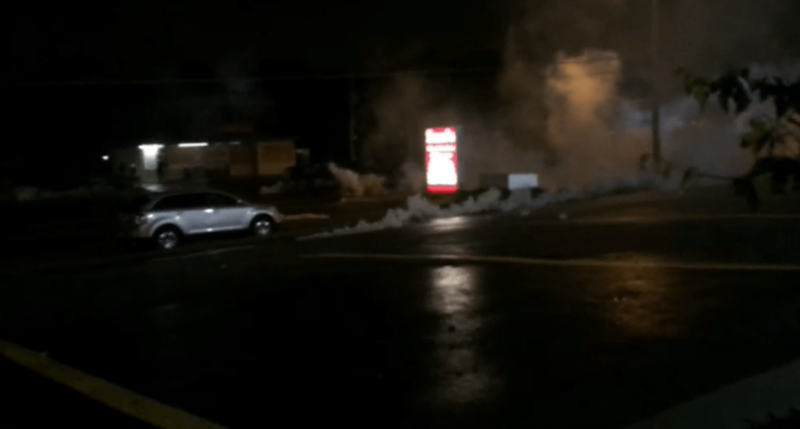 The very first gas canister was fired at about 12:48AM, 5 minutes after the warning was given. At 12:54AM there is what sounds like possible live ammunition fire. Shell casings from .40 Calibre rounds are observed later. 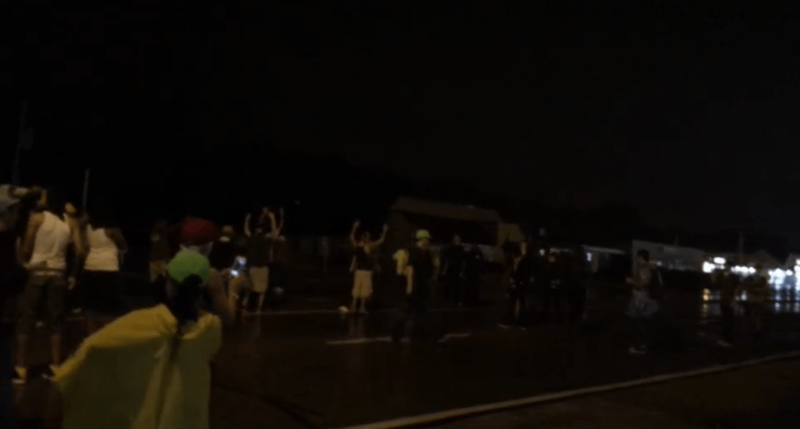 At 1:03AM a LRAD Sound Cannon can be heard in use. At 1:15AM two people were arrested, This is an image of them being handcuffed and placed into vans. In total 7 people were arrested. During the police response one person was shot. The male victim is in critical condition. This is a breaking story. More details may emerge and this article may be updated.